It’s common knowledge that loud noises are bad for your hearing – and that the world around us is growing louder. Understanding how noise-related hearing loss works is fundamental to protecting yourself and your hearing from harm. 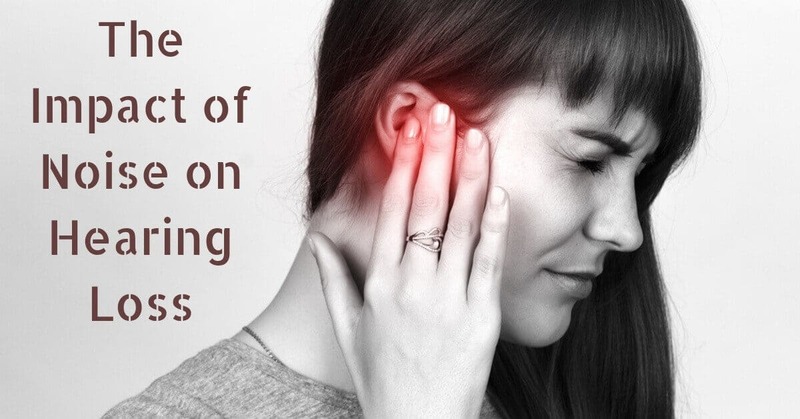 Your hearing relies on tiny sensory mechanisms inside the inner ear to detect changes to pick up the vibration of sound waves and convert that vibration into an electric signal that the brain then interprets. These sensory nerves are called “hair cells” and we are born with the only hair cells we’ll ever have. The hair cells can’t repair themselves if they are damaged. Bad circulation and infection can damage a hair cell so that it cannot function. More often noise is the damaging factor. Very loud noises stimulate the hair cell beyond its capacity for functioning. This can impart critical damage on the cell, which it cannot recover from. Throughout our lifetime, if we don’t care for our hearing, we gradually begin to lose more and more of it from exposure to loud sounds. The louder the sound, the shorter amount of time it takes to do serious damage to our hearing. Industries are regulated to protect their employees from hearing loss. The most common threshold is 85 decibels – a noise level that causes permanent hearing damage after 8 hours of exposure. This noise level is similar to the average sound of a factory floor. Louder noises become dangerous at exponentially shorter amounts of time. At 95 dB hearing damage occurs after only an hour and at 105 dB in under 15 minutes. Sounds that are above 120 dB such as fireworks and gunshots cause immediate hearing damage and physical pain in the ear. Exposure times for these intense noise levels are based on having an intermittent period of quiet rest for your hearing between loud sounds. However, in today’s busy world, people move from one noisy scenario to the next. An important sound threshold being looked at now is 75 dB, about the sound of moderate highway traffic, which is considered safe for a 24-hour exposure. While this may seem like 75 dB is safe for constant exposure, even sound at this level can cause permanent damage if rests from noise are not taken. Being in the military is one of the toughest jobs out there. Military personnel deal with life threatening situations and intense training. Along the way is a lot of dangerously loud noise. In the field, loud noise may seem like the least of a soldier’s problems, but hearing loss is now the most common health issue among veterans. As the military looks to address this growing issue, new research is developing into the way hearing needs to be rested between noise exposures. Recently the U.S. Navy began an investigation into the impact of general noise exposure on the hair cell’s ability to recover from loud noise exposures. Preliminary investigations point towards the ear’s need for quiet between exposure to dangerously loud noises. Unfortunately, many in the Navy find themselves trying to sleep and relax in off hours surrounded by engine drone, jet noise or other elevated background noises. Researchers think that these background noises do not allow our hearing to truly rest and may make hearing more vulnerable to permanent hearing damage when re-exposed to hazardous noise. In today’s busy world, it is important to remember that your hearing needs true rest from the work it does. If you end your workday by cranking the music during your commute home or trying to listen to headphones on a packed train, you may be over-exposing yourself to noise. When you have been around very loud sounds for a prolonged period, it is important to find the space to give your hearing a break. Otherwise, slipping from one noisy situation to the next may be placing unnecessary stress on your auditory system. It’s important to know that changes to the way you hear are serious health issues. They can indicate hearing loss and damage and should be looked at by a hearing specialist. How do you know where to go for hearing health? We make it easy at Roseville Diagnostic Hearing Center. Our expert team knows hearing inside and out and we love helping you find the perfect solution for your hearing issue. Want more info? Contact us today!